January 28, 2012 was the day I learned that my point and shoot camera has a long exposure mode. This brought the night sky much closer to home, and started me down a path I'd never imagined! This is turning into a blog anniversary tradition to look back over the past year and reflect on my favorite and/or best photos of the year, just like I did for year 1 and year 2 of informed stargazing and night sky photography. 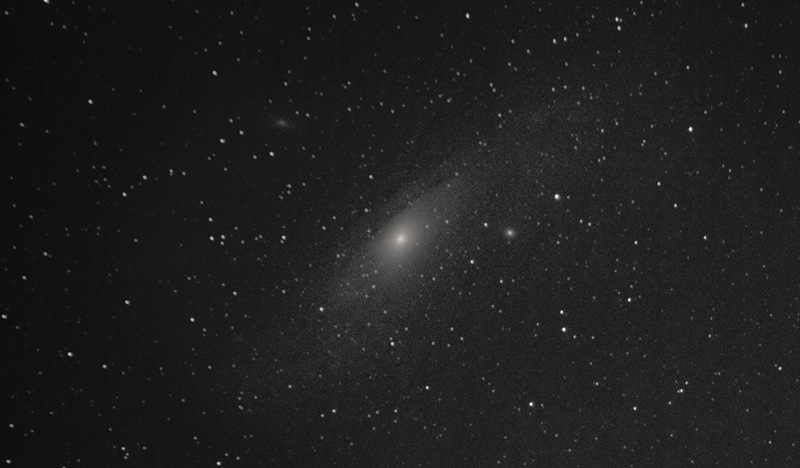 Personal best Andromeda and first successful run with my EQ-1 motorized mount. I owned the mount for months before getting the chance to really do it justice, and it's been paying off ever since. It takes a lot of work, but it is like night and day. 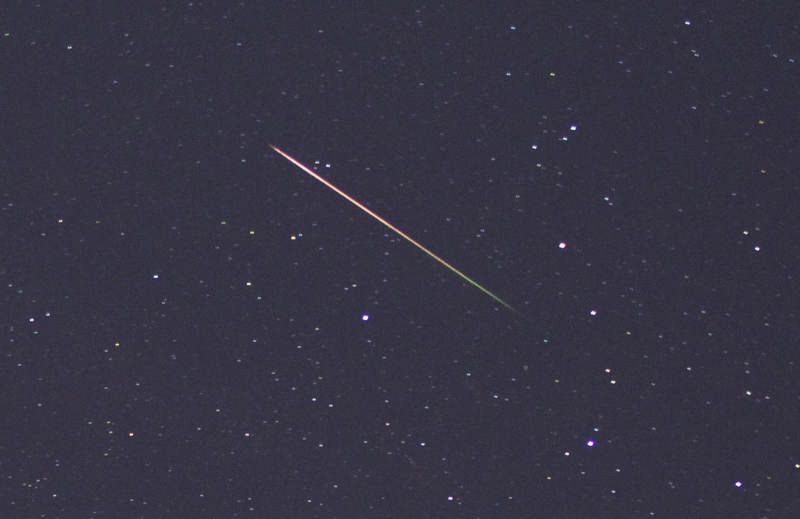 A super nice Perseid meteor with change in color and perfect javelin shape. This was really the year of the meteor photos even though I didn't get any Geminids like I did the past 2 years. This is probably my most colorful and possibly best meteor. Huge Camelopardalids meteor with visible smoke trail, as seen in this animated GIF I made using multiple frames. This was a new shower, and I really lucked out! This is the real deal, it made me really feel like an astrophotographer! Change in Ceres and Vesta positions in 24 hours, as shown in this animated GIF from two different nights. This was also the year of the animated GIF, I really like this image and it took a ton of work! 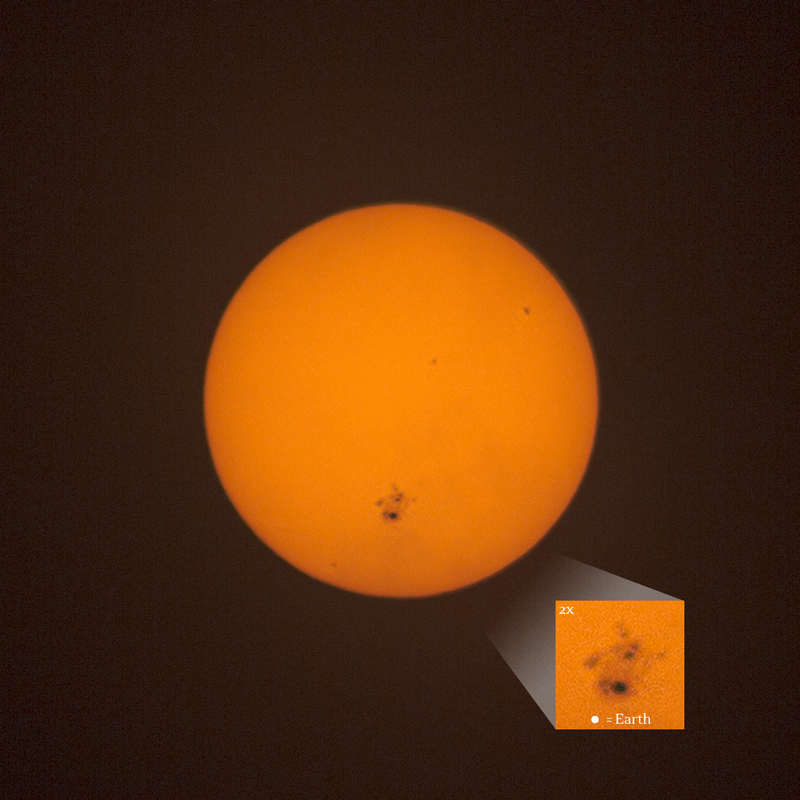 The year I entered into solar photography, and a gigantic sunspot! I made my own solar filter for my camera with a sheet of black polymer and was able to get a totally new view of the sun. A real milestone! 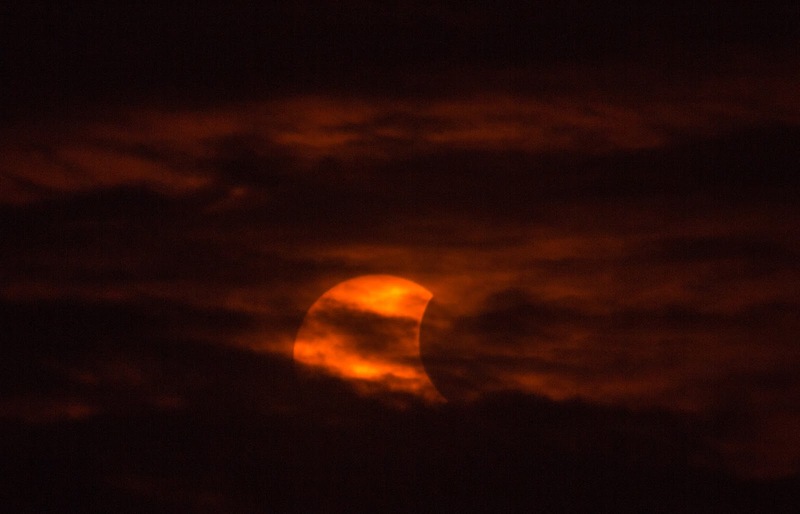 Partial solar eclipse, viewed from my office window with my home made solar filter. This was an exciting event and I feel like I showed some real persistence to get this image through the clouds a few minutes before going into an appointment at work. Just shows you can make time for it even if you're busy! My first total lunar eclipse and my best photo probably so far, I'm super proud of this! 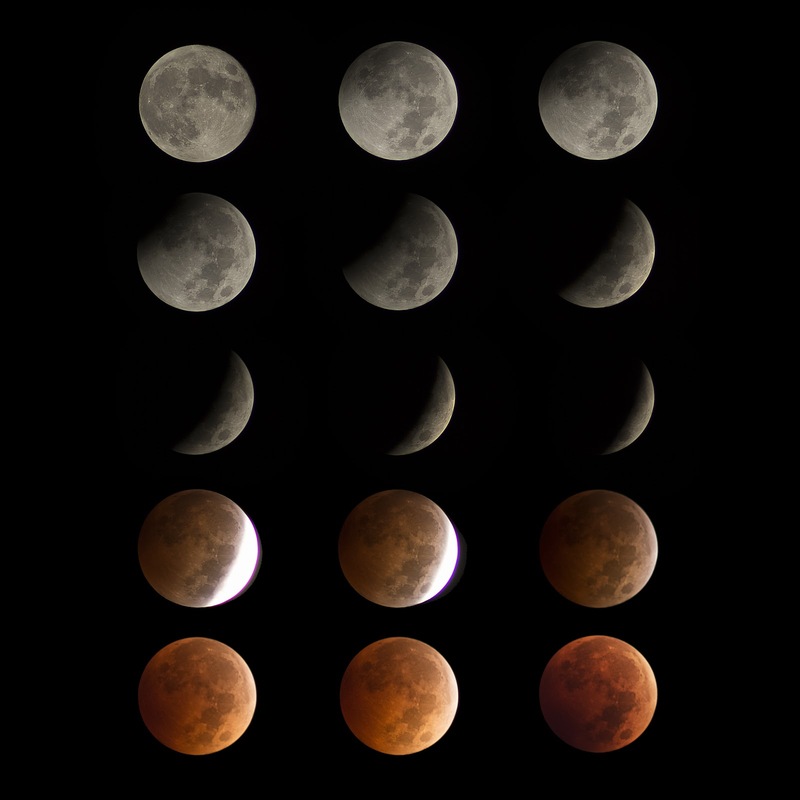 I had to wake up super early on a work day, and spent hours stacking photos for each stage of the eclipse. It was an amazing event to see and to document, I'll cherish this photo for years to come. My parents had a huge poster of it framed and it's in my family room now. Amazing sunset and iPhone photo at that! Indiana is amazing for skywatching, I've never seen so many rainbows and cool sunsets. 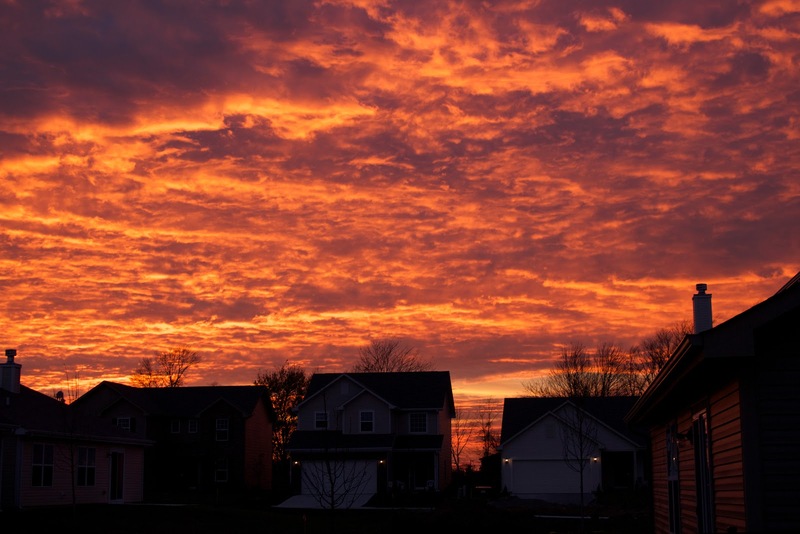 Forget 'big sky country' it's all about the crossroads of America when it comes to cool sky colors. 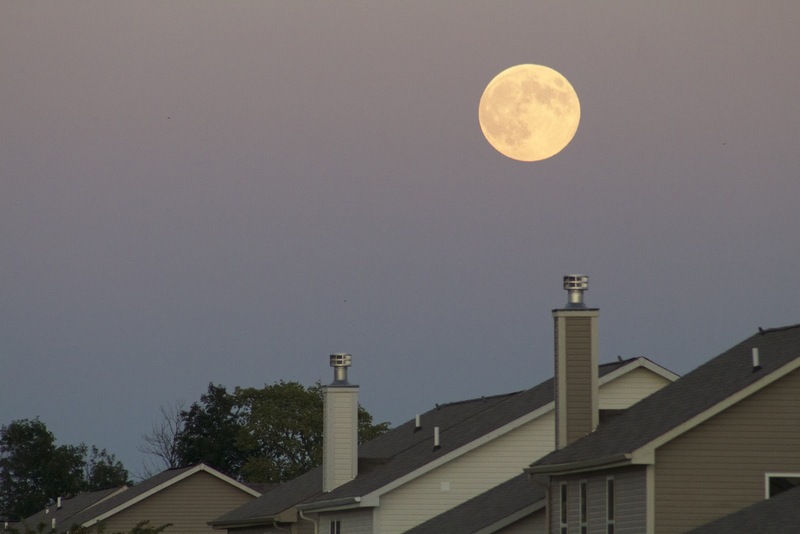 Supermoon and one of many moon photos of my suburban skyline. It's nice to have a backyard and a view to the South, as well as a view down the corridor of backyards to see the moon rising over the rooftops. 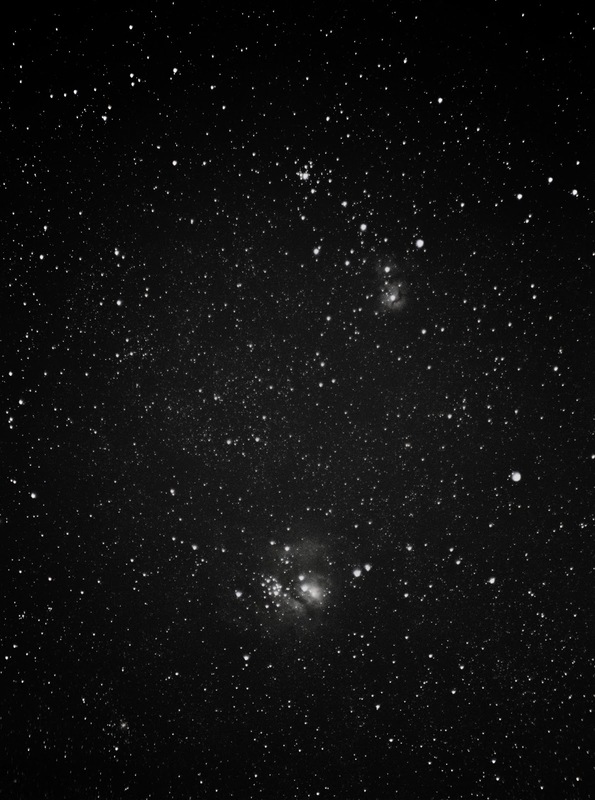 Lagoon Nebula and Trifid Nebula with my EQ-1 motorized mount. This year I really upped my deep sky game with the mount, and I've only used it a few times. Still plenty of room for improvement! 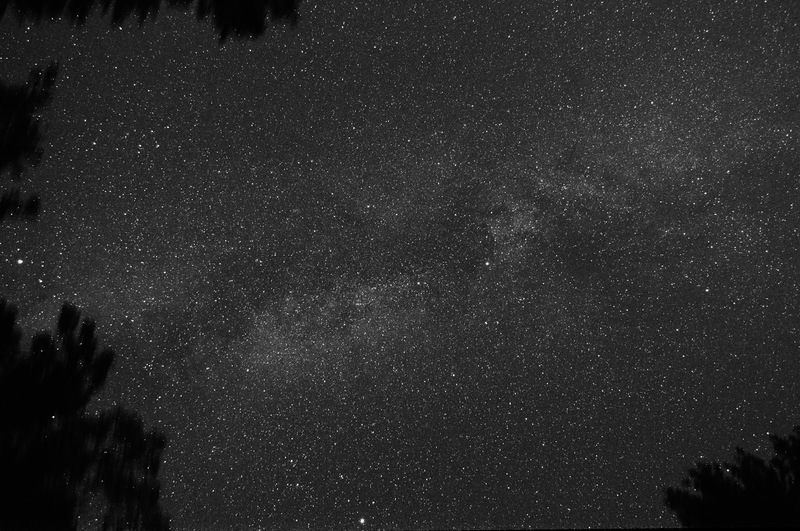 Probably my best Milky Way photo to date, I just wish I had my EQ mount for this one. I took it on a fixed tripod during a work retreat into the woods. It was the darkest sky I was under all year, and I got some good naked eye views of the Milky Way as well. Hoping to improve on this over the summer with some tracking and maybe even see some of the colors. 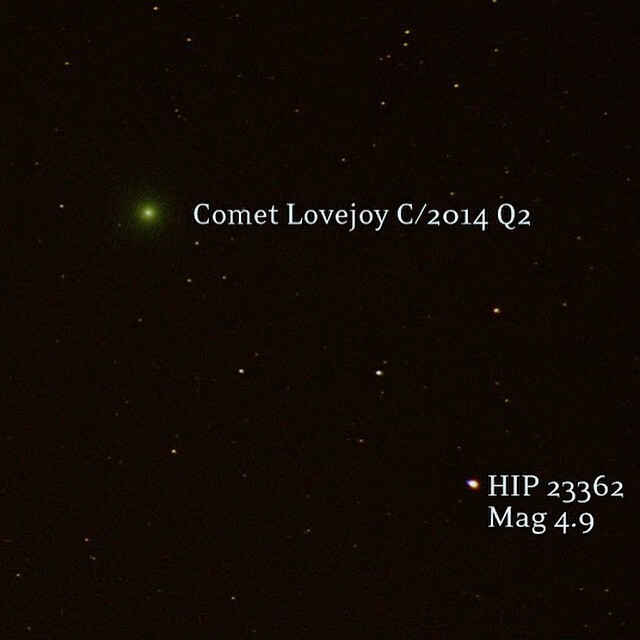 New year comet, this one I got with just a fixed tripod. Pleased with the nice color with what seemed like minimal effort. It must be a sign that I'm getting better and more comfortable because this really seemed like a pretty casual acquisition. 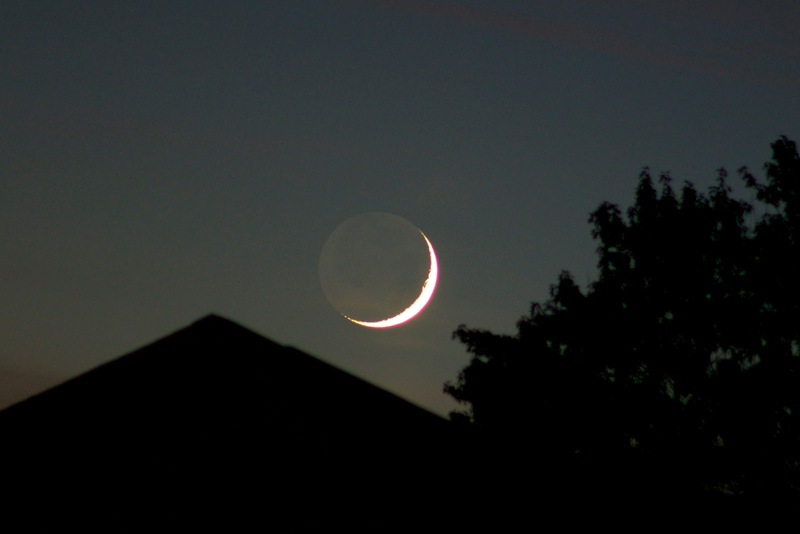 Interesting earthshine moon photo: This year I've been working on including more foreground objects to add interest. I've sort of gotten over the hump of being so new that I just try to get the right settings, and now I'm turning some attention to composition and the more artistic side of astrophotography. That time I was on NPR Science Fridays, wow what a treat! 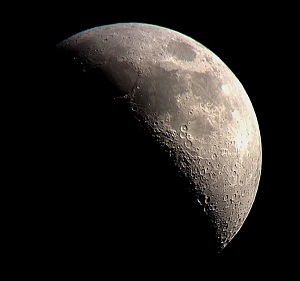 This was out of the blue, one day I got a call about taking moon photos with an iPhone, and a couple days later I was live on the air. This is like my peak fame, my 15 minutes, I still can't believe it haha! Me, on NPR, wow! Getting to see Neil deGrasse Tyson speak for free on the UIndy campus. Honestly, the excitement of the event was better than the talk. It was more a celebration of science than a science lecture. It was very pop culture and fun. Being part of this audience of 4000 was great, and my husband came with me - which is always nice when he supports my interests! 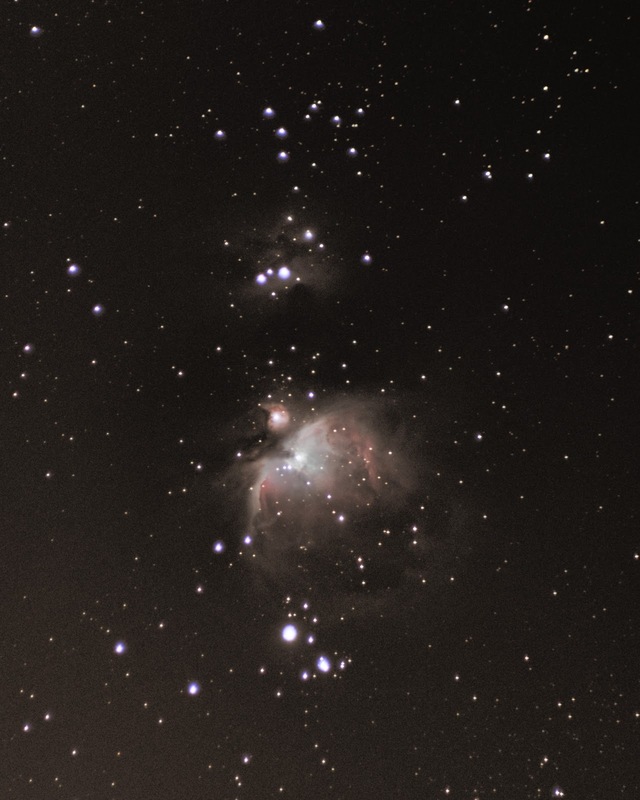 Too legit to quit Orion Nebula, this image is my pride and joy for the year. I feel like it's a huge milestone and a gateway into the realm of 'real' astrophotography. I take a lot of dumb little fuzzy blob photos, but this is legitimately a deep space image from my own backyard. I feel validated and like my improvement is undeniable, and it makes me excited to keep learning. I also have this image framed in my family room. So there you have it, this was a fun walk down memory lane for the year! Here's hoping for a successful and productive new year, plenty of new territory and things to learn!